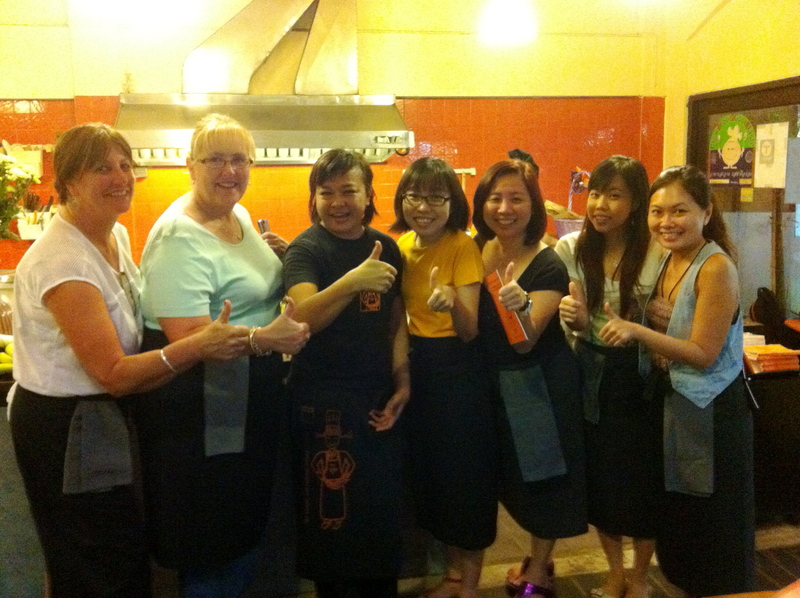 Not sure if you feel the same, but I find attending cooking classes while overseas a very enriching experience. As food and culture often go hand in hand together, I always feel that I learn more about a place’s culture and history through food. Knowing the origins of a dish or ingredient often makes me realized how important food is to our life, supporting not only our well-being and survival, but also our culture and traditions. 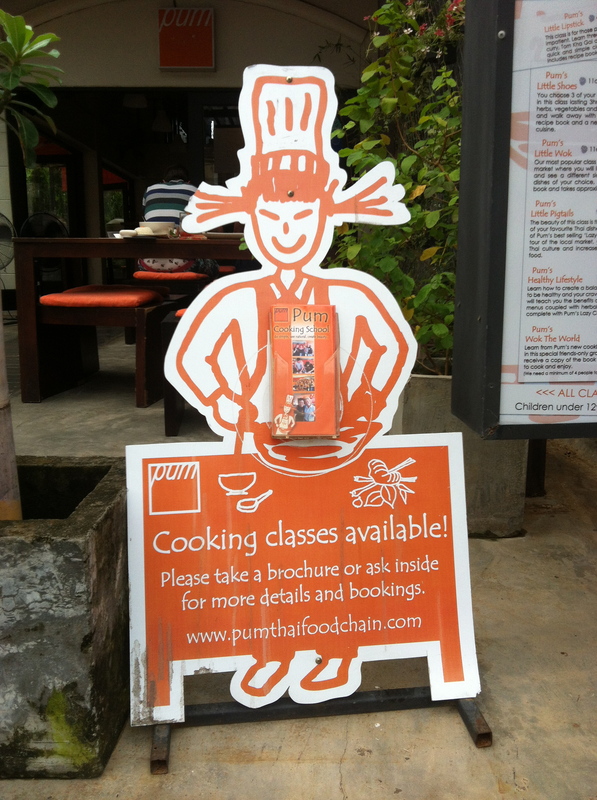 During this trip, my travel mates and I had arranged for a cooking class at Pum’s Kitchen – where we learned how to make various famous local dishes such as Phad Thai, Thai Green curry and Cashew nut chicken etc. Bright-orange coloured signboard – you won’t miss it. 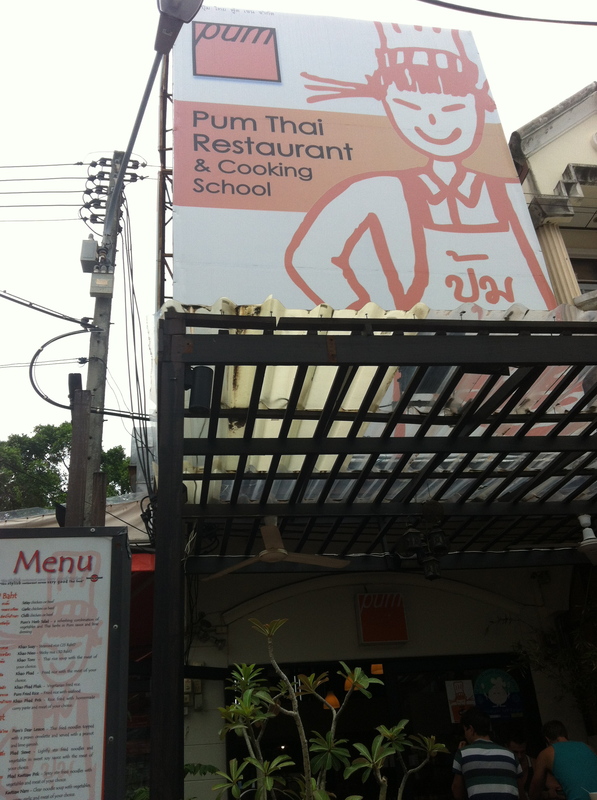 Located near the giant shopping complex Jungceylon on Rat-U-Thit Rd, Patong, Pum’s Cooking School can be easily spotted from across the street. 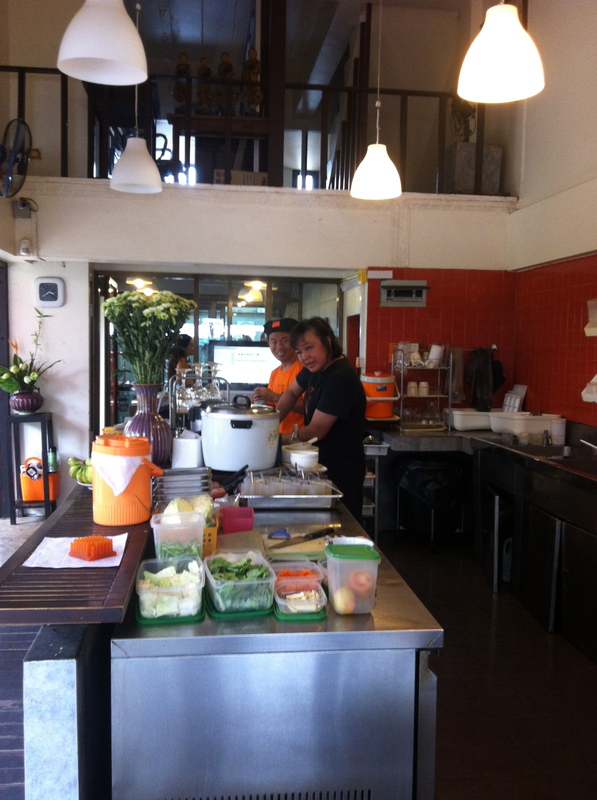 Operating as a bar and restaurant at the same time, the teaching kitchen and classroom is situated at the back of the building with a view of a small garden. Open-kitchen concept for the restaurant. The types of cooking classes available. Some even have excursions to local markets! The ‘classroom’. Behind it is the teaching kitchen. The class is small, with only 6 students including us. Thus, it feels more like a discussion than a class. 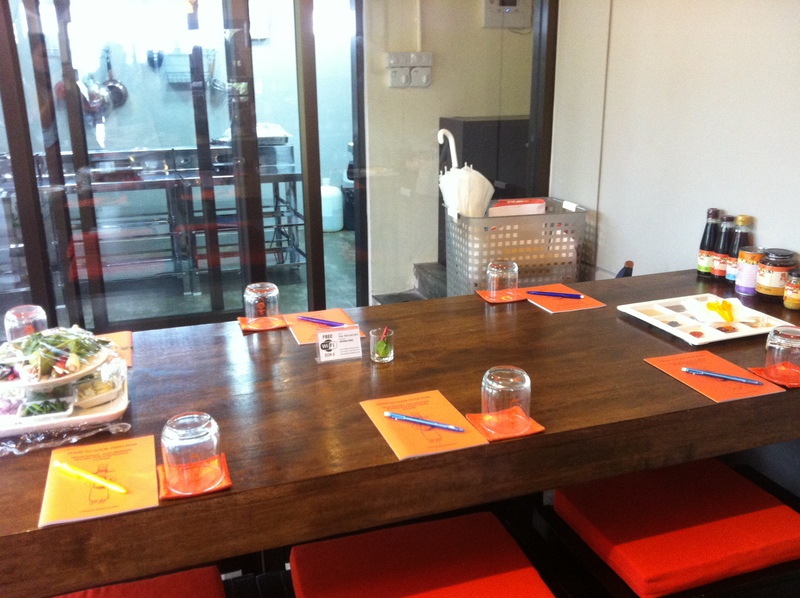 The owner, Pum, was the one who conducted our class. 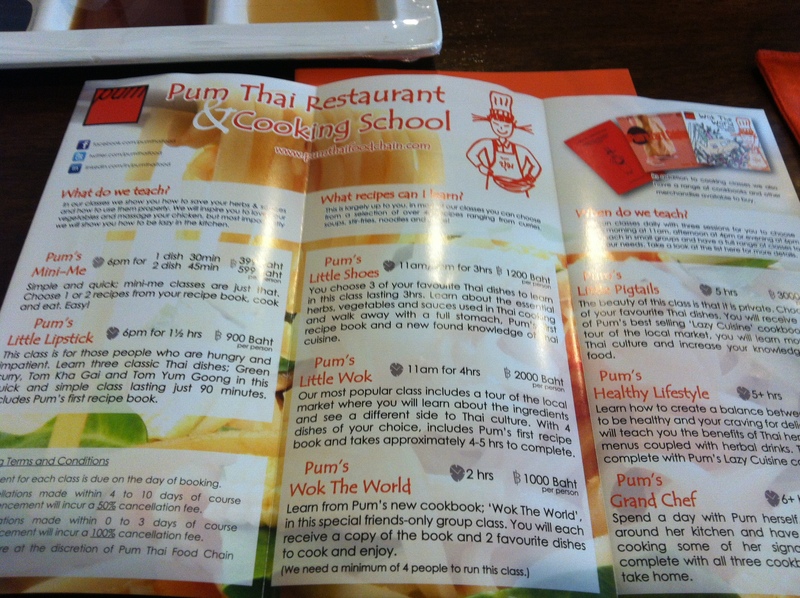 We started off by selecting three dishes that we wish to learn from a recipe book. 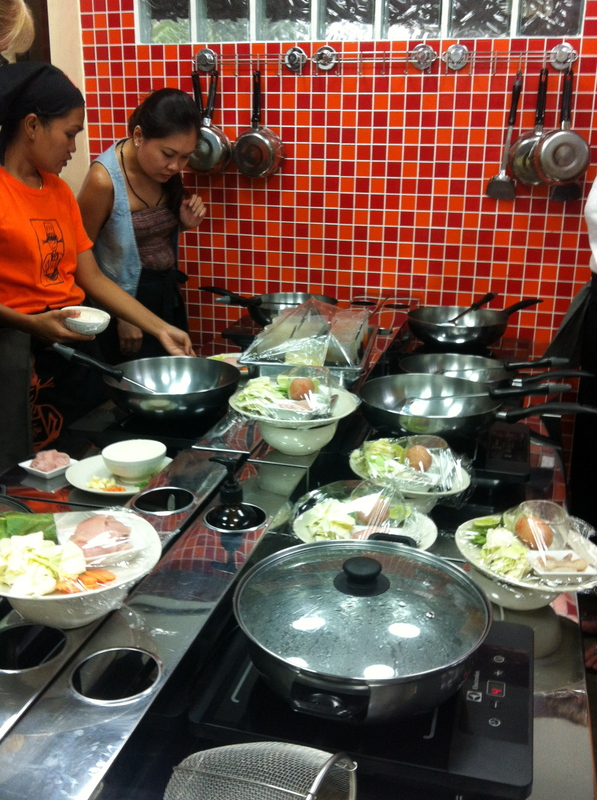 After indicating our interest, the class began with a short theory class on the ingredients used in Thai cooking and the history of Thai cuisine. 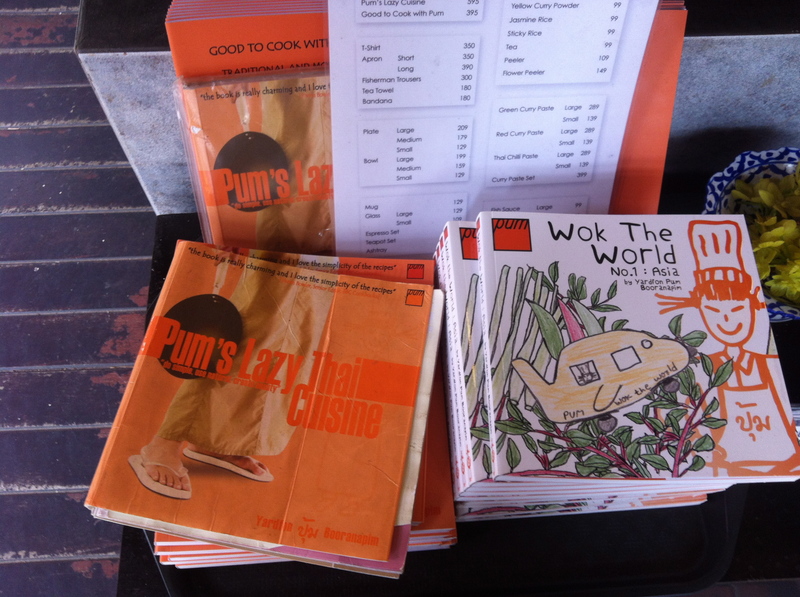 You can also buy the various cookbooks if you are keen to learn more. 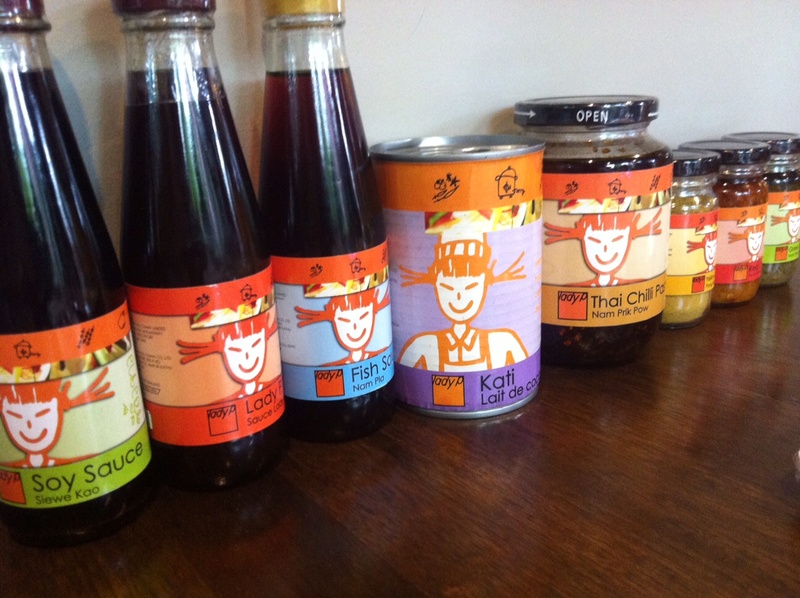 Don’t know where to find authentic sauces and condiments for Thai cuisine? Get them here! After an interesting and informative theory class, we quickly proceed to the kitchen for the practical part of the lesson. It’s cooking time! Making the green curry paste… they even made us sing while doing it! 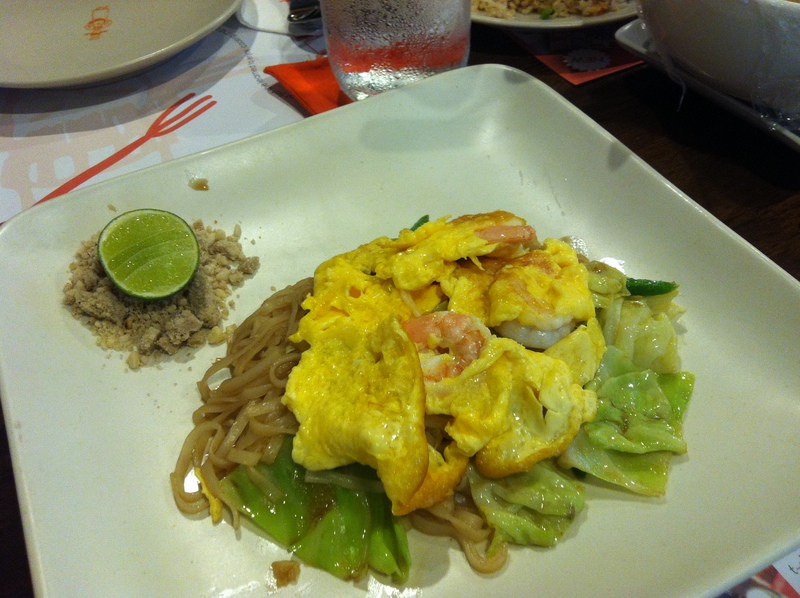 During our class, we told that the different regions of Thailand produces a different version of Phad Thai. In Bangkok, being the richest city, the Phad Thai is usually generous with expensive ingredients like as seafood, meat, tofu, mixed vegetables etc. 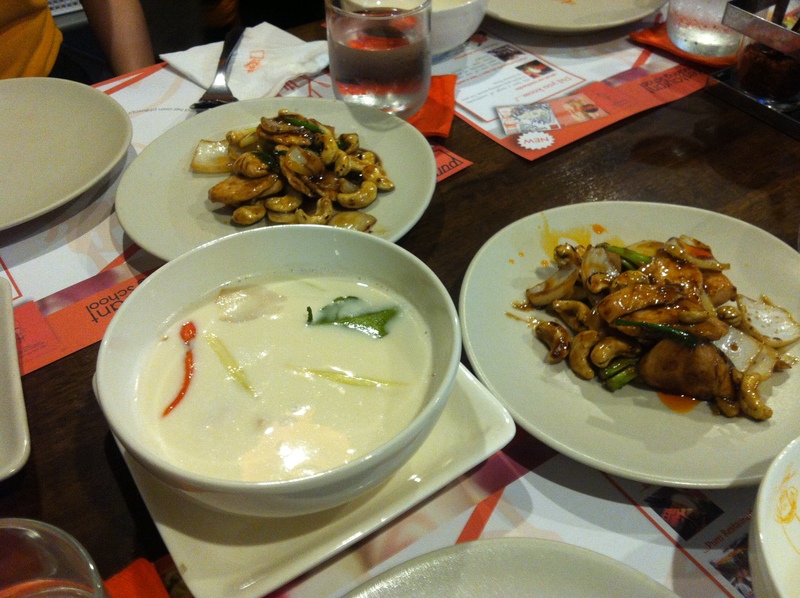 Besides Phad Thai, we also learned how to make the Thai green curry, cashew nut chicken etc. Last but not least, a class photo for remembrance! 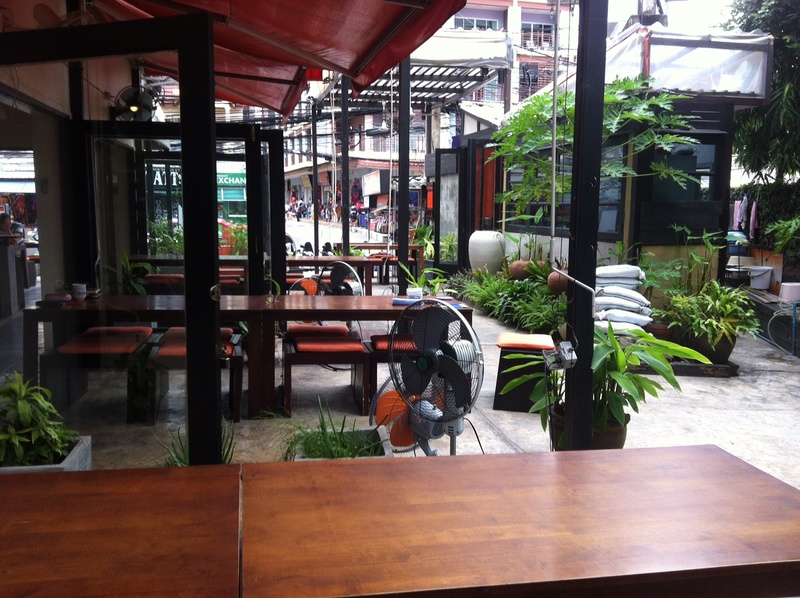 32 Rat Uthit 200 Pi 2 Alley, Kathu, Patong, Phuket, Phuket 83150, Thailand. Tel: +66 76 346 269.